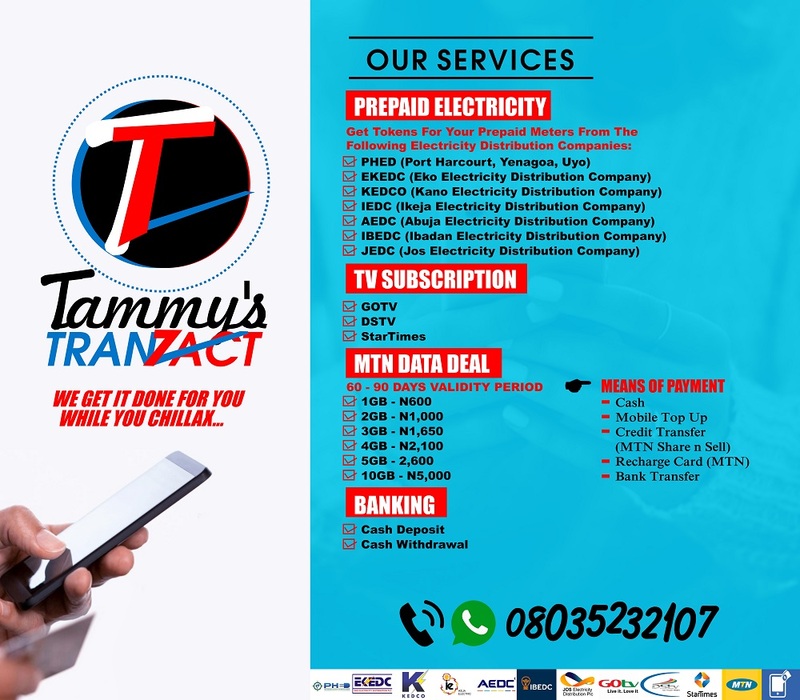 Tamuno Reuben Monday, February 11, 2019 0 Comment Job Opportunities. 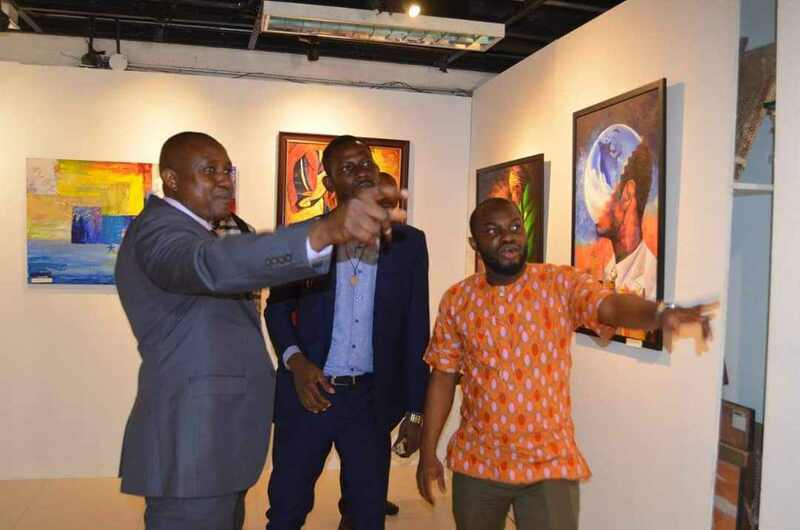 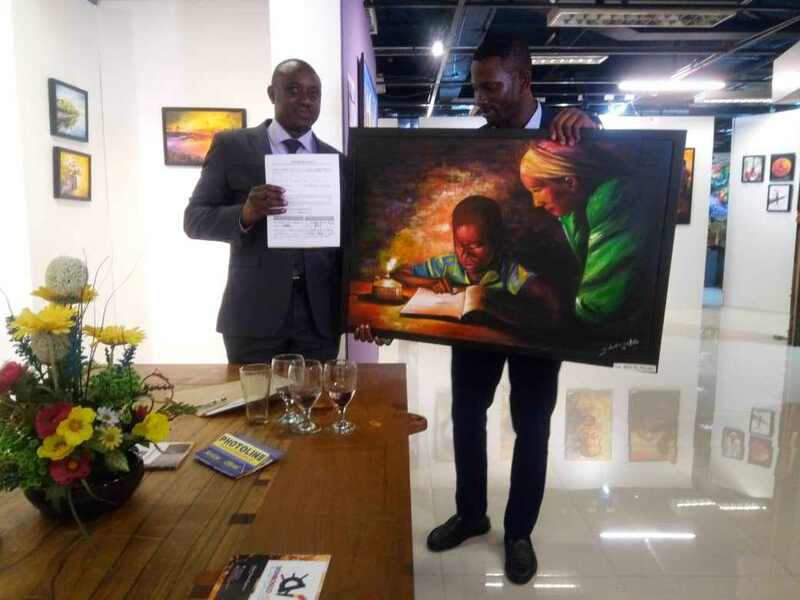 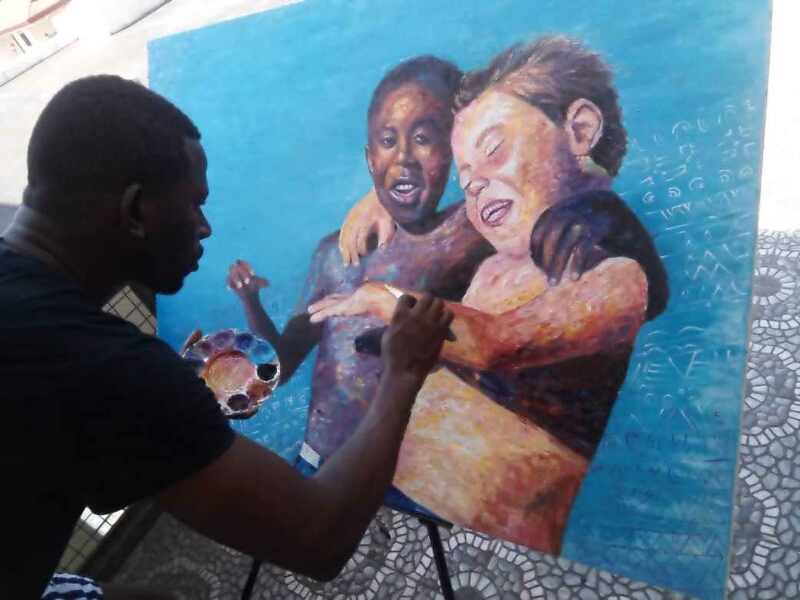 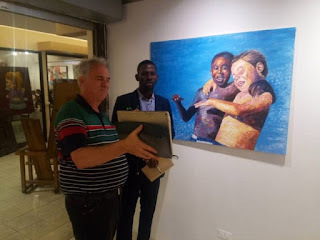 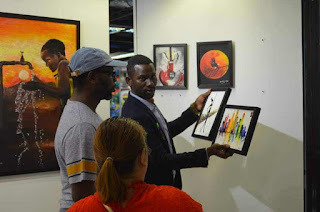 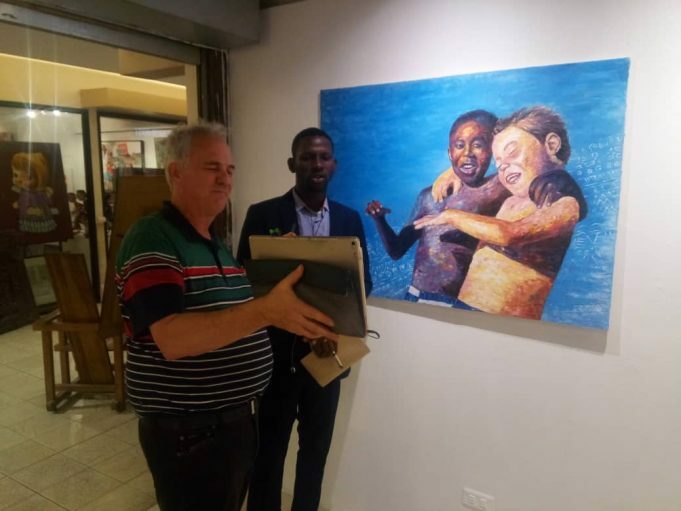 The Philippines is currently in awe as Anambra-born artist and proprietor of Donbosco Media and Arts Gallery, Mr Nwobu Emeka Johnbosco, exhibits his artworks. 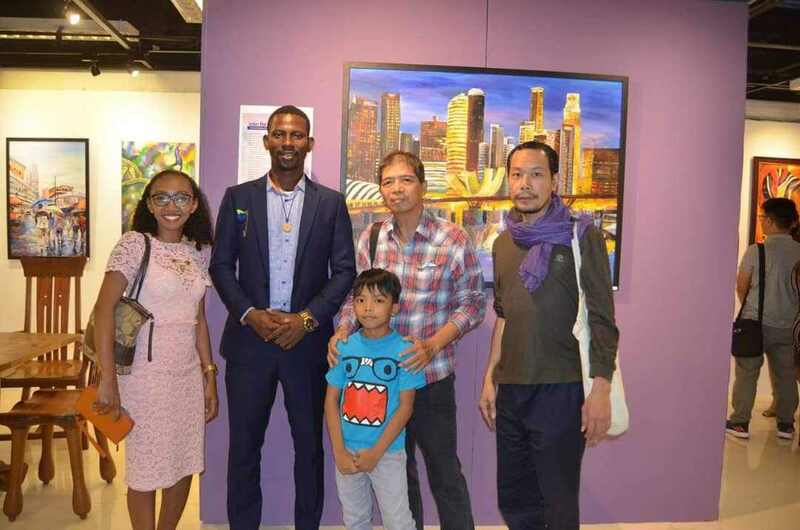 This, according to confirmed reports, is the first time a black man is exhibiting his artworks in the history of Philippines. 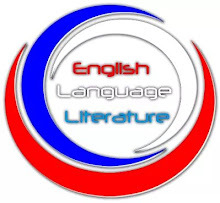 It is, therefore, not out of place to say that Mr. Nwobu Emeka Johnbosco (also known as Donbosco) has, in terms of arts and culture, rewritten the African history in the Philippines. 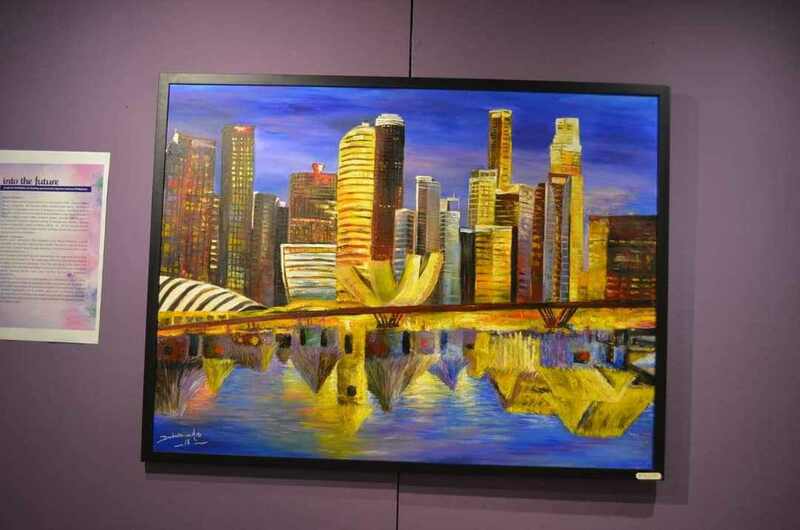 The exhibition, which kicked off on Sunday, February 10 and will end on Wednesday, February 13 at the Art Plaza, Shangari-La Plaza, City of Mandalyong, Manilla, Philippines, is tagged "Into the Future." 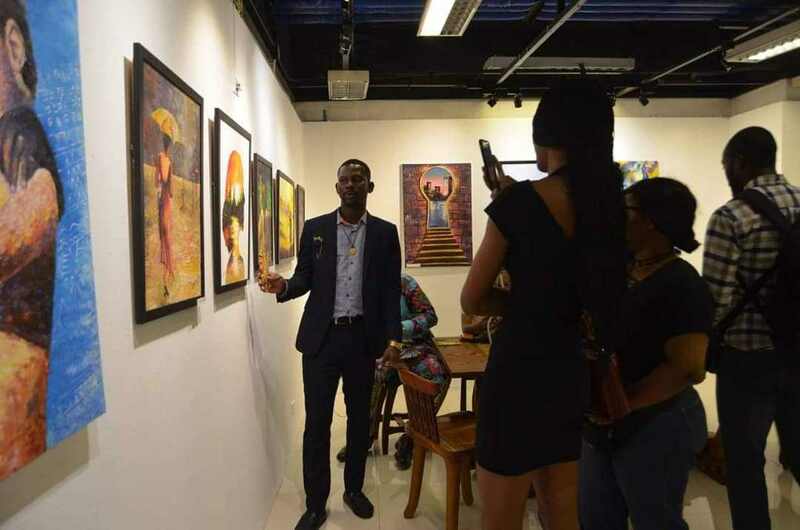 The theme of the exhibition, "Into the Future," is featuring twenty paintings that express the concept of "the Future" and how one can make it into the desired future through meditation, vision and creative steps. This is a solo exhibition that is solely sponsored by the Nigerian Embassy in the Philippines. 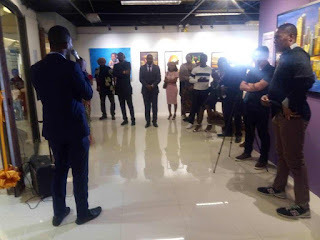 Speaking on what inspired him to carry out the exhibition, Mr Nwobu, a graduate of Business Education and an Art teacher, says he is "driven by passion to provide young people with the inner strength to pursue their dreams" and "drive positive change in using arts to transform people's lives," adding that people who love his work should "discover the reason to become better and attain higher." Mr Nwobu's works are not limited to painting; he also draws and also uses his graphic design and photography to express his inner thoughts. 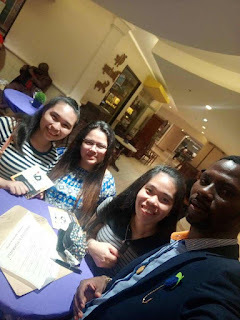 Through his Donbosco Media and Arts Gallery in Okpuno, Awka South Local Government Area, Anambra, Nigeria and Makati, Manilla, Philippines, Mr Nwobu has been able to mentor a numerous number of young people. 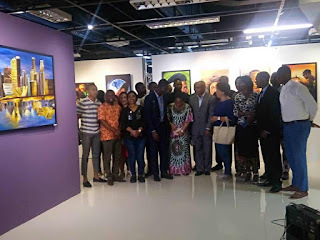 In describing Mr Nwobu, the Nigerian Ambassador to Philippines, Ambassador Adekunbi Abibat Sonaike-Ayodeji said he is a man who is diligent in his ways and has, through the exhibition, shown the I-can-do-spirit of Nigerians and positively shown Nigeria could export her tourism and creative industry. 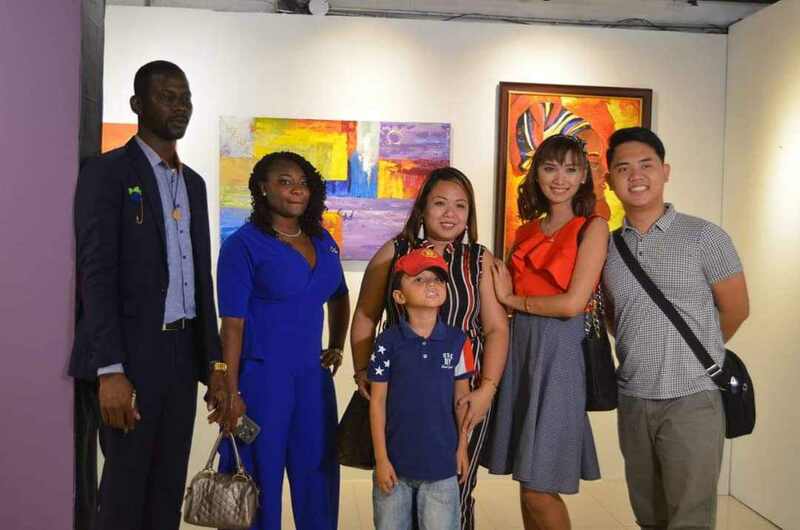 The opening ceremony was attended by the Nigerian Ambassador to the Philippines, his Cambodian counterpart and many other reputable artists and captains of industries. 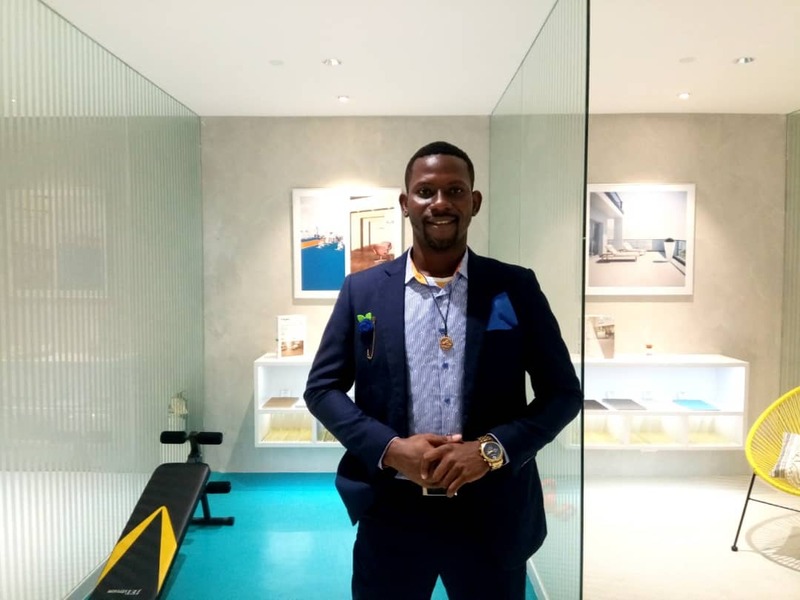 Congratulations, Mr Nwobu Emeka Johnbosco! 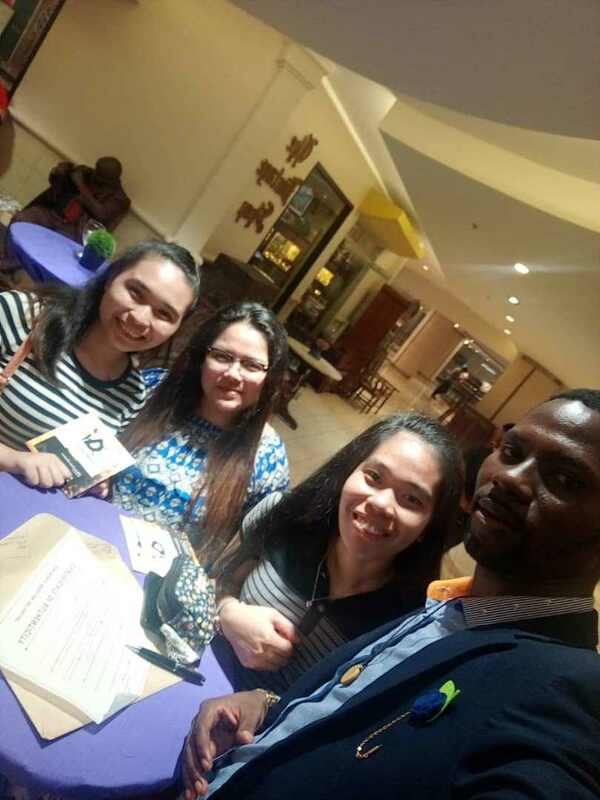 Nigerians and Africans are proud of you. 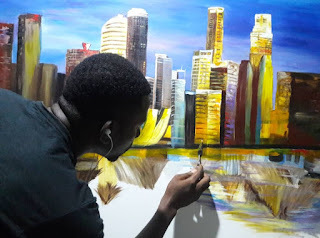 Nwobu Emeka Johnbosco (who hails from Akwa, Anambra State, Nigeria) is an international artist, based in Makati, Manilla, Philippines. He has a rich and varied academic background: a Diploma in Cooperative Economics and Management (CEM), a B.Ed. in Business Education, and an MSc in Business Administration (GMBA) in view. 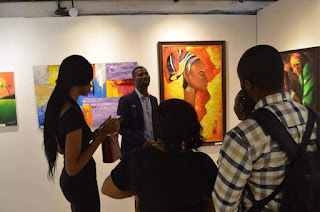 He is a member of the Society of Nigerian Artists (SNA), Anambra Chapter, a member of the Nigerian Union of Journalist (NUJ), a member of the Nigerian Institute of Management (NIM) and a member of Teacher Registration Council of Nigeria (TRCN). Chukwuemeka Johnbosco Nwobu, who has participated in many solo and group exhibitions, has and operates his Private Studio and Gallery in Akwa, Anambra State, Nigeria.